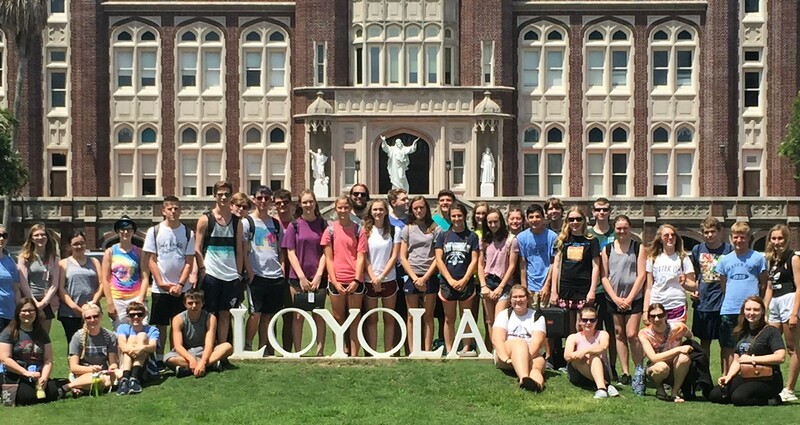 Mr. Blake Korte and members of our bands and chorus are pictured at Loyola University, where they attended clinics, during their recent trip to New Orleans. In addition, the students enjoyed a plantation tour, swamp tour, and private concert and question and answer session with local jazz musicians; the marching band members performed in front of the St. Louis Cathedra; and the jazz band members performed on a dock prior to a steamboat cruise. We thank Mr. Korte for planning this educational and cultural event for our students!